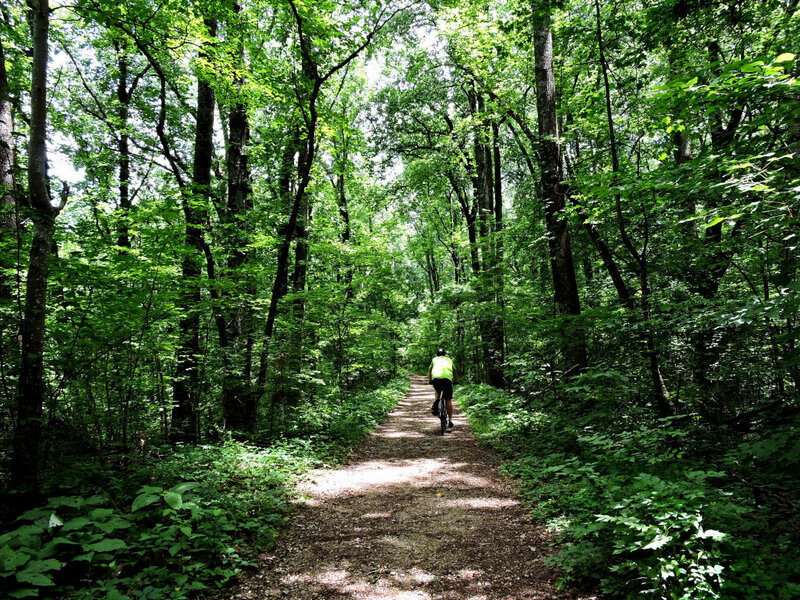 This trail is jam-packed with natural beauty, fascinating history, and lots of potential to give you a great workout. There are also 2 and 4 mile loops. 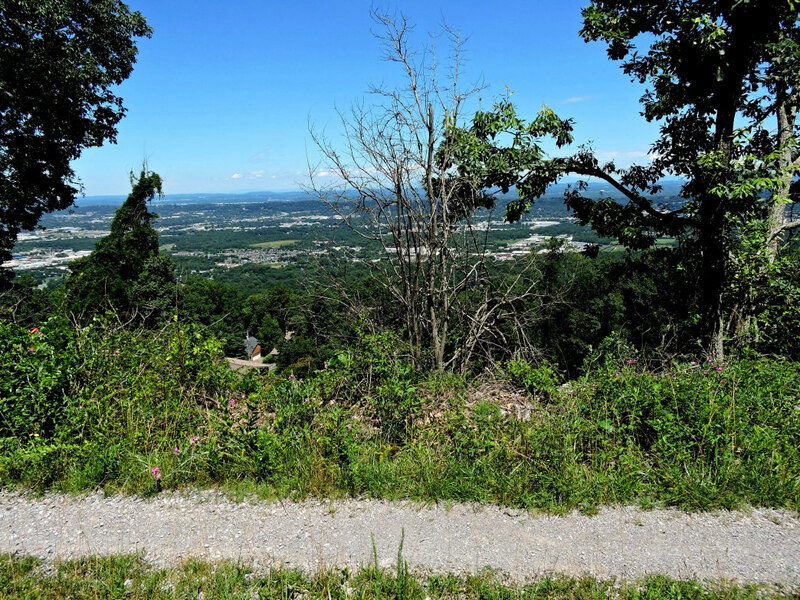 It's hard to beat the history of Lookout Mountain, famous for its importance during the Civil War and as a landmark for tourists for over a century. This Guild Trail (lower section) and Hardy Trail (upper section) are really just one pathway, an old railroad bed built in 1887 by the Lookout Mountain Railway Company. 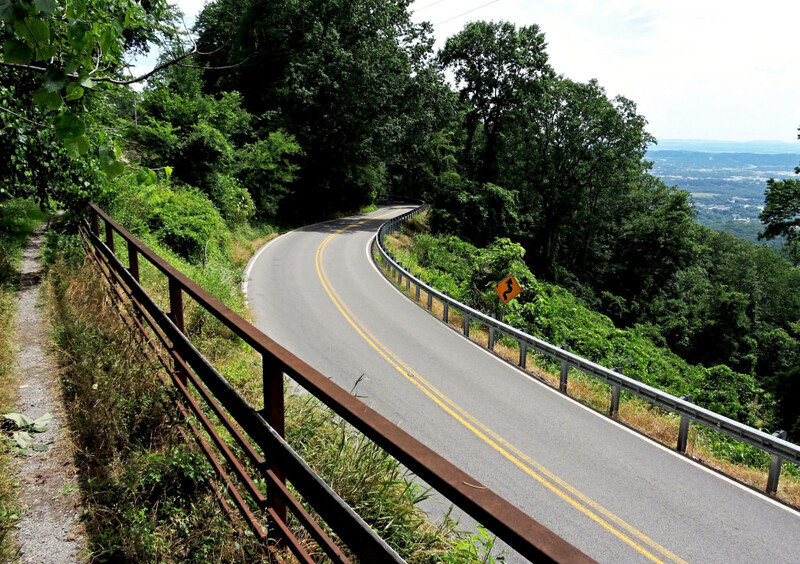 The old rail bed gradually ascends a total of five miles from St. Elmo to the top of Lookout Mountain, and its easy double-track makes the trail popular with runners, mountain bikers, and casual hikers. If you park at the paved parking lot on Ochs Highway, it's almost exactly one mile up to Ruby Falls on the Guild Trail. You'll pass directly underneath the current Incline Railroad, then cross two very impressive trestle bridges. 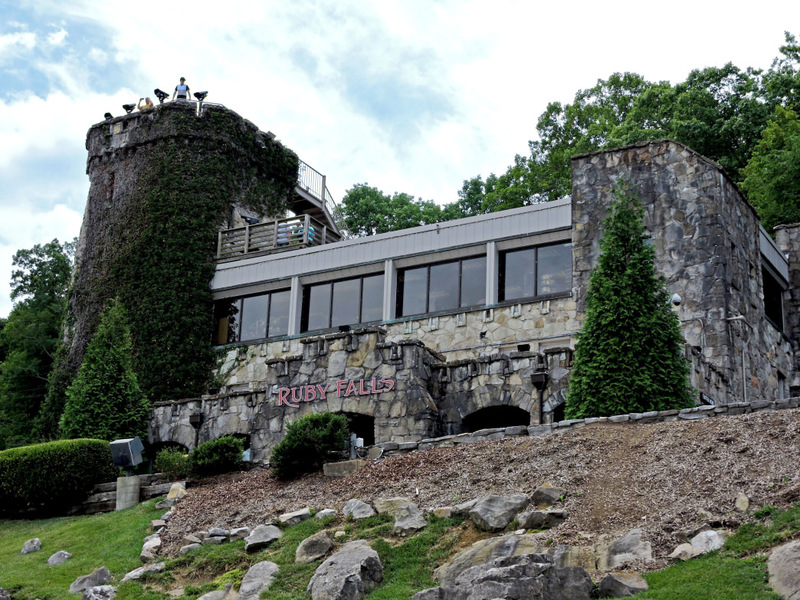 When you encounter the lower parking lot at Ruby Falls, proceed straight ahead, carefully crossing Scenic Highway and through the upper lot where the pavement again turns to gravel. Consider stopping for a view of the old quarry known as the Eagles Nest on the right, just before you hit the gravel. This is a popular area to park for those wanting to jump-start their trip up the mountain, or branch off on different routes. Continuing upward on the old rail line, you'll come to a sweeping switchback/intersection (keep left to follow the switchback) and less than a mile later you'll hit the pavement of Cravens Terrace Road. 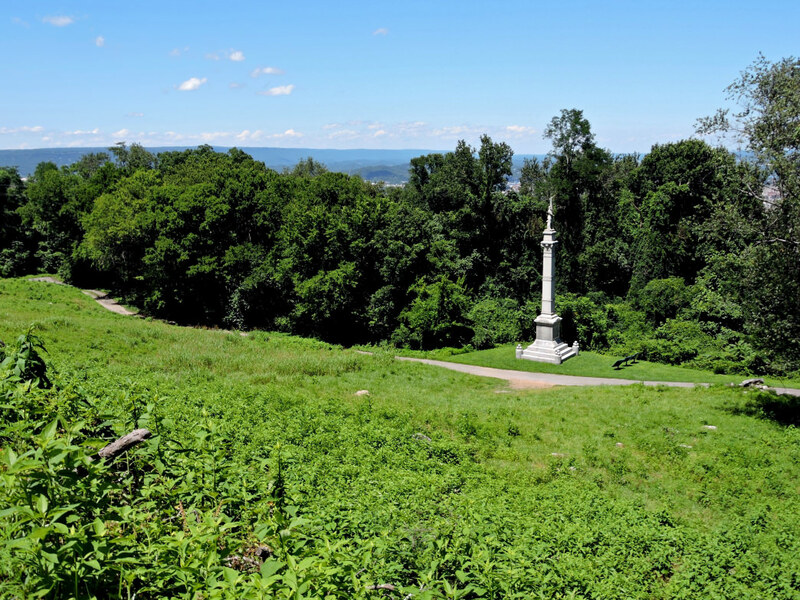 Just as you did at Ruby Falls, continue straight ahead on the pavement for just a quarter mile further and you'll be at the Cravens House, where the famous "Battle Above The Clouds" was waged in 1863. 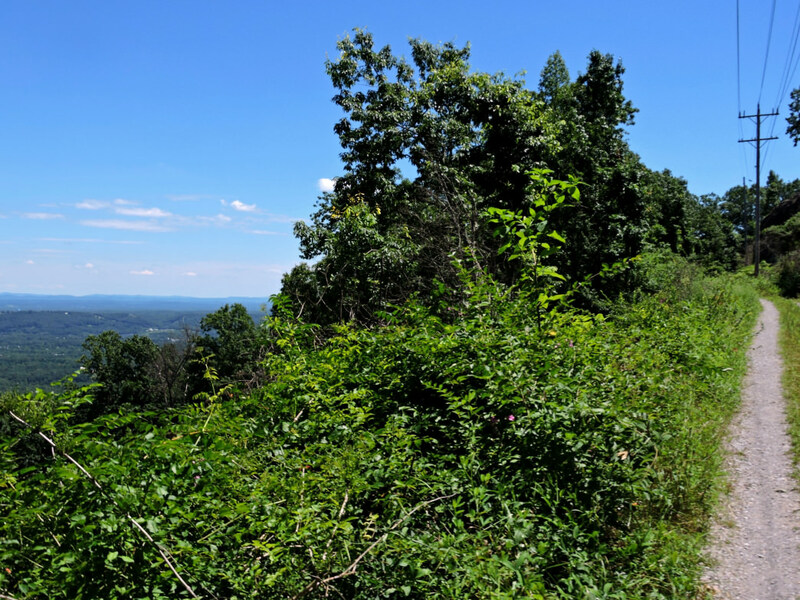 The railroad passed below the house and now continues as gravel track known as the Hardy Trail for another mile until it intersects Scenic Highway near the top of the mountain. Of course, you could just park at the Cravens House, which would keep you fresh for a challenging loop. Follow the Hardy Trail until you are adjacent to Scenic Highway, nearly at the trail's end, and look for a right turn onto the Mountain Beautiful trail. 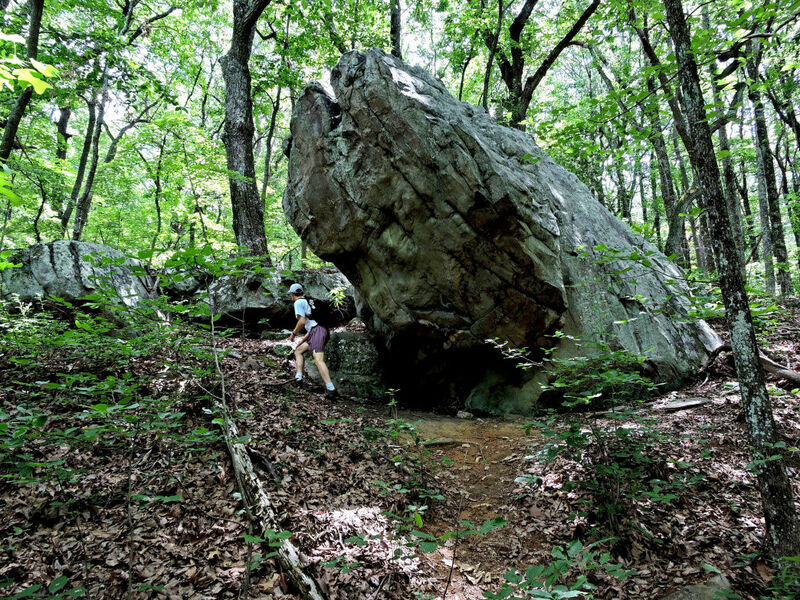 This trail includes some taxing hills, but once up to the cliff line your reward is some of the best rock formations on the mountain. After the trail descends briefly, you'll pass under the Incline Railway. You can go straight at the next intersection to drop back down to the Craven's House (a 2 mile loop), or take a left and continue up around the Point and proceed back down via the Bluff and Cravens Trail (a 4 mile loop). Trail runners looking for a run where they don't have to watch every step will enjoy the Guild and Hardy trails. The climb will be long if gentle, but the downhill will be fast and fun. Well conditioned runners will enjoy the challenges of the Mountain Beautiful loop near the top of the mountain. 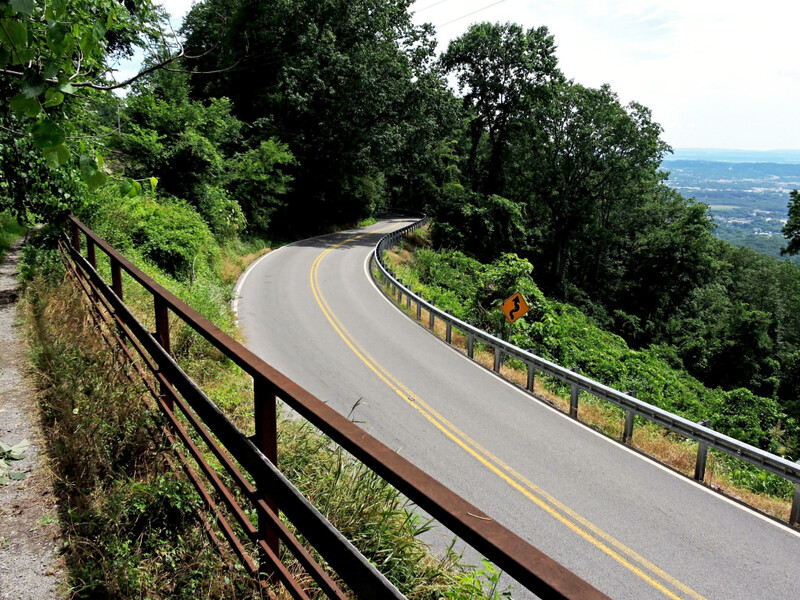 There are three excellent trailheads: Ochs Highway, Ruby Falls, and Cravens House, each higher in turn on the mountain. If you park in the lower lot at Cravens, you'll already be on the old rail bed--simply walk up the grade to the gravel of the Hardy Trail. Most of this area is on National Park property so you should go between sunrise and sundown.